Shelby joined ISU-The Stratton Agency in June of 2013. She assists the Commercial Lines Department as a Customer Service Agent. 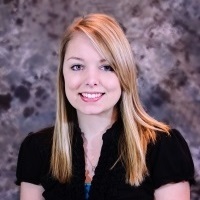 Shelby was born and raised in Pendleton, and after graduating high school she attended Blue Mountain Community College and received her Associates of Applied Science in Agriculture Business. Shelby married her high school sweetheart, Zack in June of 2015. She, Zack and their newest addition, daughter Kinsley live near the family farm in Pilot Rock. Together they enjoy escaping to the mountains whenever they can to go hunting, camping, and fishing.